It makes no sense. There was a segment on Jimmy Kimmel where he went around asking people what gluten was. Everyone he asked avoided it but no one knew what it was. The same misinformation exists in the world of fats. Ask people what a trans-fat is and you'll get a similar response. Most people think trans-fats are saturated fats (SAFA). They are not, they're unsaturated fats. I previously talked in-depth about different types of fats and how saturated fats plays a vital role for our brain. Decades ago, after thousands of years of eating saturated fats, we one day decided they were bad for us. So we turned to trans-fats (a way to make fat while removing saturated fats because we feared them so much) and polyunsaturated fats (PUFA). Heart disease, diabetes, and obesity has sky rocketed since then. Now people love vitamins, supplements, and juicing because we understand that we have oxidative damage but don't realize it's due to our avoidance of saturated fats and increased intake of sugar. In avoiding saturated fats, we're using vegetable oils, artificial oils (both forms of trans-fats), and PUFAs. Trans-fats are used in things we deep fry, fake butter, or in baked goods (comfort foods). Trans-fats are already being phased out by many food manufacturers and restaurants. Meaning they're figuring out how to make artificial oils low in trans-fats. PUFAs are easily oxidized by oxygen and heat. Meaning their intake can cause oxidative damage. Oils, such as canola and perilla, when heated, can lead to carcinogens (the thing we hate about cigarettes) and mutagens, things you want to minimize to avoid things like cancer. PUFAs need to be kept air-tight and cold. They're easily damaged (so are nuts and seeds high in PUFA). PUFAs are not necessarily bad, unless oxidized. The act of cooking oxidizes it. Omega 3 is a PUFAs and has many health benefits, especially fish oils. Provided they're undamaged. Omega 6 oils are found abundantly in corn, soy, canola, sunflower, safflower and other commercially used cooking oils. People are consuming too much omega 6 and not enough omega 3, damaging our cells. The ideal ratio of omega 3 to omega 6 is about 1:4. A high amount of omega 6 is considered a link to cancer. Consider limiting your consumption of soy and corn products and buy grass-fed and pasture raised meats for the same reason. Avoid food cooked in any oil over a 20% PUFA especially: soy, canola, perilla, safflower, sunflower, corn, walnut oil, rice bran oil, and peanut oil. Best cooking oils have a PUFA of 10%. The higher the PUFA, the more carefully it should be handled. Airtight and refrigerated. Never use oils that smell rancid. Avoid margarine and hydrogenated oils, like vegetable oils (trans-fats). These tend to be the least expensive and for years were marketed as healthy (going back to the fear of saturated fats, e.g. animal fats). Avoid cooking with walnuts, sunflower seeds, sesame seeds, pumpkin seeds, chia, flax, pecan, and peanuts. Walnut oil and flax seed oil should never be heated. 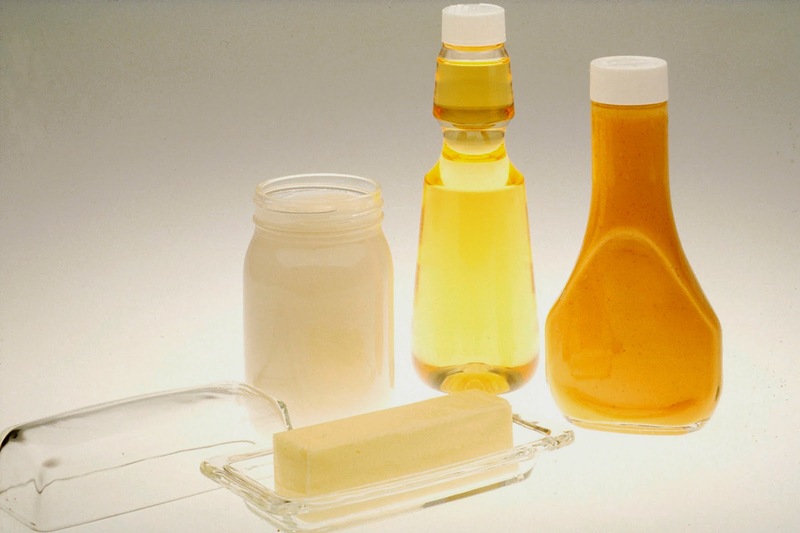 The worst oils are vegetable, canola, corn, soy, and peanut oils. These are also the most commonly used oils, especially in manufactured foods and restaurant foods. Try to avoid fried foods for this reason. Choose organic extra virgin grade oil. Extra virgin means it's been cold pressed (remember heat is bad), in it's purest form. If there's a cold pressed option for any of the things you buy, get it. Organic virgin coconut oil is the most versatile, widely available, and most affordable. Olive oil is becoming the go to cooking oil for Americans who never grew up cooking. As any Greek or Italian will tell you, if your olive oil smokes, throw it away. Quality matters and many buy the mass produced, low quality olive oils, which have a very low smoke point. Higher quality virgin olive oils have a higher smoke point but not in comparison to other oils. The Food Network has popularized cooking rapidly with olive oil at high heat to make 30 minute meals. Olive oil and true cooking from that region was meant to take a longer period, cooked at medium to low heat. Fast foods vs slow cooked foods. Olive oil is high in monounsaturated fats, which is good for you in moderate amounts. If you damage olive oil with heat, it loses all the nutritional properties you bought it for and oxidizes it (making it a carcinogen). Think sauté. If you want it foolproof, drizzle it on foods like roasted vegetables or salads. Avocado oil is also high in monounsaturated fats, has a higher smoke point, and can be drizzled on foods. It's a bit more expensive and has a shorter shelf life. Cook with virgin coconut oil, organic ghee, grass-fed lard, and pasture raised goose or duck fat. Ghee has a high smoke point (meaning it can be cooked at the highest temperature. Once oil smokes it becomes rancid and needs to be thrown out). Coconut oil is good for stove-top cooking as well as baking. Almond oil, macadamia oil, virgin palm oil, and olive oil can be used for baking but they're not as good for stove-top. Coconut oil is also high in medium chain fats, which the body burns for energy instead of storing as fat (ketosis), additionally it's a preferred energy source for the brain. Good fats are required for absorption of fat soluble vitamins. Eat what you are, we're fat, protein, and water. We cannot exist without fat. Make sure you check the shelf life of many of these oils, especially after opening. Consider buying smaller quantities. Always leave it away from sunlight, in a dark dry area, in colder temperatures. Read the labels for further instructions and to understand how the oil was processed. Buy oils in darker bottles, preferably made of glass. Avoid cooking on non-stick pans. Use cast iron skillets, the oven, and the slow cooker. Avoid eating anything burned. Forget cooking shows where they show you the kitchen of a restaurant, with high flames, people throwing food, cooking fast, and a little smoke. That makes for good TV but not much else. We do so much to stay healthy, avoid chemicals to the point of chemophobia, consume more vitamins and antioxidants, let's not ruin it with the wrong types of fats. There's an irony here, to avoid man made chemicals, we started consuming more man made chemicals. To avoid fast food, we started cooking faster. To avoid fats, we consumed worse fats and more sugar. Let's right the ship once and for all.